We've all been praying for Yella Beezy after he was the victim in a shooting a few weeks ago. He showed off photos of his bullet-riddled car recently after sharing a video of himself watching his own performance at the BET Hip-Hop Awards. The awards show was obviously taped in advance with Beezy getting shot days after the ceremony. His performance opened many eyes to his talent as he continues to prove himself in a loaded game of artists. As he recovers, Beezy enlisted a group of his favorite Atlanta rappers for a massive posse cut on the remix to "That's On Me." 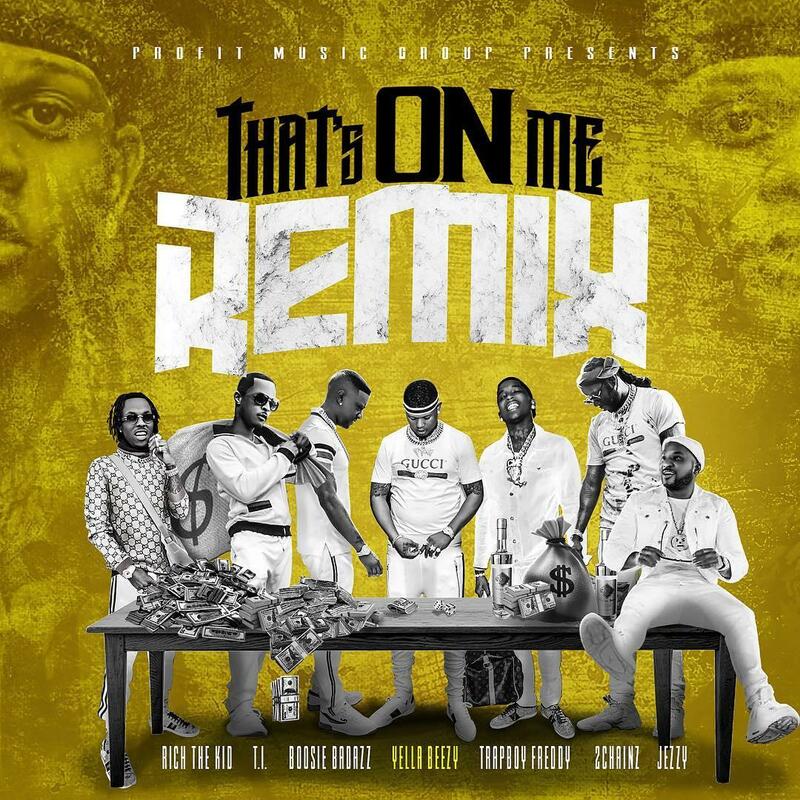 The remix has 2 Chainz, T.I., Rich The Kid, Boosie Badazz, Jeezy, and Trapboy Freddie in the cut, providing a touch of their signature style in their verses. The song was shared to Yella Beezy's SoundCloud page with 2 Chainz starting off the first verse. Tip comes in later to be followed up by Rich's distinctive vocals. Boosie, Jeezy and Freddie all do their thing here as nobody is a weak link in the remix. After all that Yella Beezy has been through in the last few weeks, it's nice to hear him back on the mic and releasing music. Check out the fresh remix and let us know your thoughts. Smino Makes Mufasa Proud On Animated Banger "L.M.F"
Black Eyed Peas Share Posthumous Phife Dawg Verse On "All Around The World"